Papercrafts by Patti: PPA83 - Easter Bonnets/Things that are Spring/Easter-PLUS BLOG CANDY!! 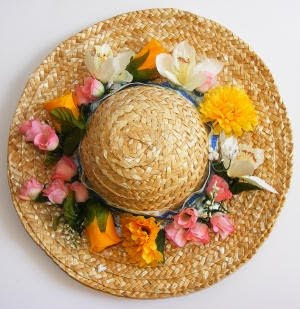 PPA83 - Easter Bonnets/Things that are Spring/Easter-PLUS BLOG CANDY!! I don't have any bonnet stamps and have limited Easter stamps as well. I chose the bunny from So Cute and went from there. I like how he is sort of hiding in the DSP on the left side. I love how the Baja Breeze scalloped edge looks when it is lifted by Stampin' Dimensionals over the Crumb Cake card base. I thought the bow was necessary and oh-so-"Easter-y" in Whisper White. I hope you enjoy. 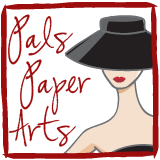 Now you can put on your inspiration (see photo below) and play along with us at Pals Paper Arts! Don't forget there is Blog Candy this week, so you have a chance to win it when you post your creation and DIRECT-LINK it to your blog or online gallery! Make sure you have all the supplies you need to create your Easter greetings. 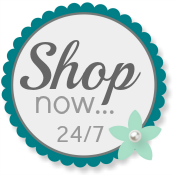 Use my Website to order any time! Very SWEEET Easter card Patti love that blue and the bonnet is Fabulous!!! That DSP is perfect for Easter - love it topped with that white ribbon! I love how the DSP coordinates...so beautiful! The ribbon is just the perfect touch! Patti such a cut little bunny peaking out of someone's garden! Love your blue scalloped piece popped up too and the bow is perfect! Hugs. LOVE your card, you do beautiful work. I love the colors together. Great design and color ... perfect Easter card! What a great way to incorporate the Nursery DSP. Clever girl! Dear Patti. Love your card. The colors you chose and that cute little bunny. So so sweet. Thanks for sharing your idea. I added myslef as a follower to your blog. I would love to come back when I have more time to browse around. You're welcome to take a peek at my blog as well. I would love to have you visit.